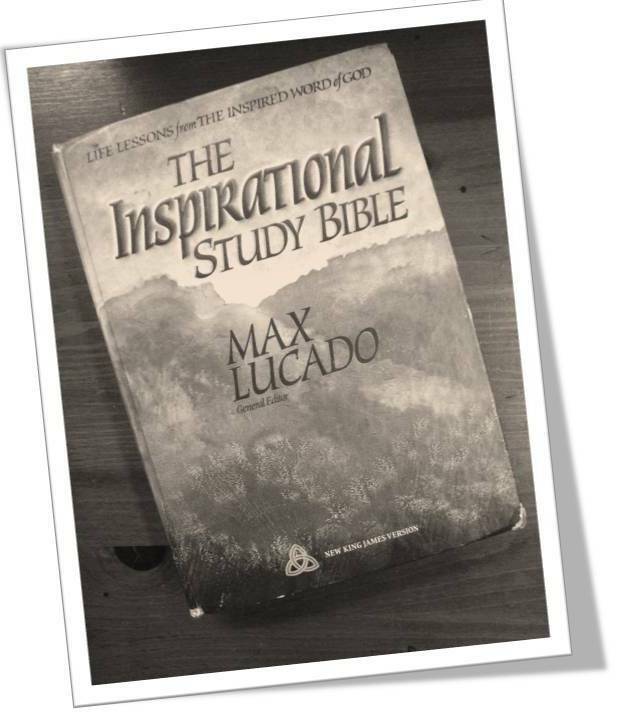 I remember I bought my first copy of the Inspirational Study Bible, NKJV with devotional life lessons edited by Max Lucado in the year 1998 (see picture below). 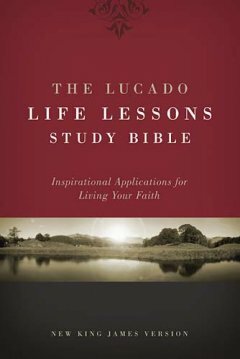 It has been 10 years since and the new Lucado Life Lessons Study Bible, NKJV is a completely revised edition (with a different name as well) and for the first time, all the devotional materials in this new edition are excerpted from Max Lucado's entire career of writings -from his first book to his latest release, Outlive Your Life. Comparing the older edition that I had with this latest edition, this new edition follows the same format as the previous one - with each devotional lesson starts with a "Situation", follow by "Observation", then "Inspiration" (which is the excerpted piece of writings from one of Lucado's books), and closes with "Application" and "Exploration". The older edition has a special 48-inserts printed on good quality paper, offering encouraging words from Max on a variety of inspirational topics. This has been expanded and replaced with a series of 48-full page topical studies also scattered throughout the entire text. The dictionary/concordance section from the older version has been replaced with a section of devotional index on selected life application topics (each topic is supplied with selected relevant verses with suggestions to read the related passages in the text). The 100 of the most inspiring passages of the Bible in the older version has been replaced with two new sections "He Did This Just For You" verses and "Spiritual Growth" verses (new selections of bible verses). I still prefer the older version in terms of the quality of printing paper (better paper quality in the older version) and I like the 100 bible passages personally selected by Max Lucado in the older version. Nonetheless, the new version has a cool section of 30 Studies for New Believers. I find this section to be an excellent section even for not-so-new believers. 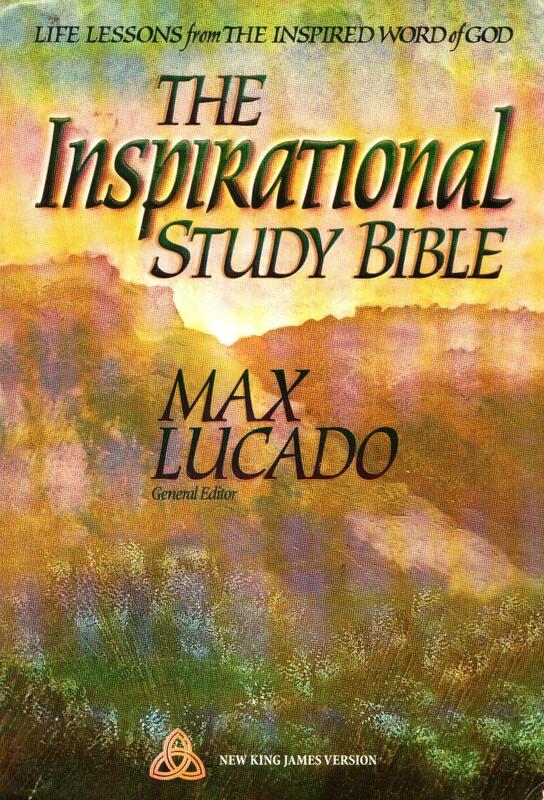 Finally, as with the previous editions, I personally think that this NKJV bible should be more aptly called the Lucado Life Lessons Devotional Bible rather than Lucado Life Lessons Study Bible, as there is really not much of exegetical materials or hermeneutics of the scripture that warrant it to be a study bible. Neither is this bible contains any maps or related materials. Even the dictionary/concordance section has been taken out. The only consolation would probably be the additional capsule outlining the main messages of each books of the Bible in the Introduction page.